Photo courtesy CLGP, Queen Mary University of London. The emergence of China as a global economic power in recent decades has been striking – Its ~10% per annum GDP growth since 1989 is but one indication. This economic boom has been accompanied by enormous changes to the domestic labour market, as hundreds of millions have made the change from rural agricultural to urban industrial workers. At the same time, strikes by workers have been rising since 2004, and have intensified since 2010, when the government stopped releasing official statistics. 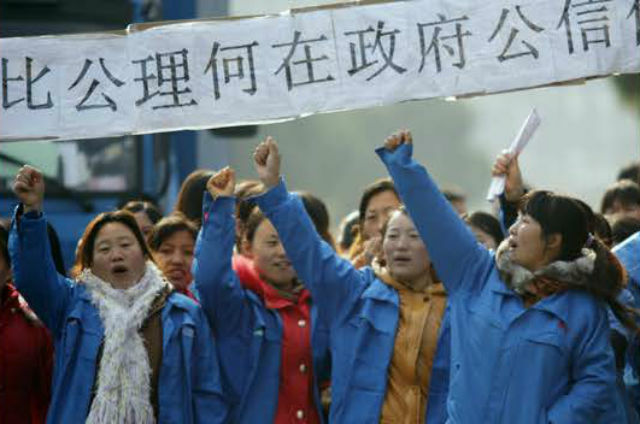 In 2016, China Labour Bulletin had recorded 2,662 worker collective actions – an increase of 20% from a year before. Meanwhile, Chinese capital has been flowing overseas in search of new investment opportunities, with over $130 billion invested last year alone, an increase of 55 percent on 2015. Major investments stretch across the globe, from Latin America (the canal in Nicaragua) to Europe (the Port of Piraeus in Greece) and Africa (natural resource extraction throughout the continent), competing increasingly with North America and European capital under greater pressure due to the differential impact of the economic crisis. 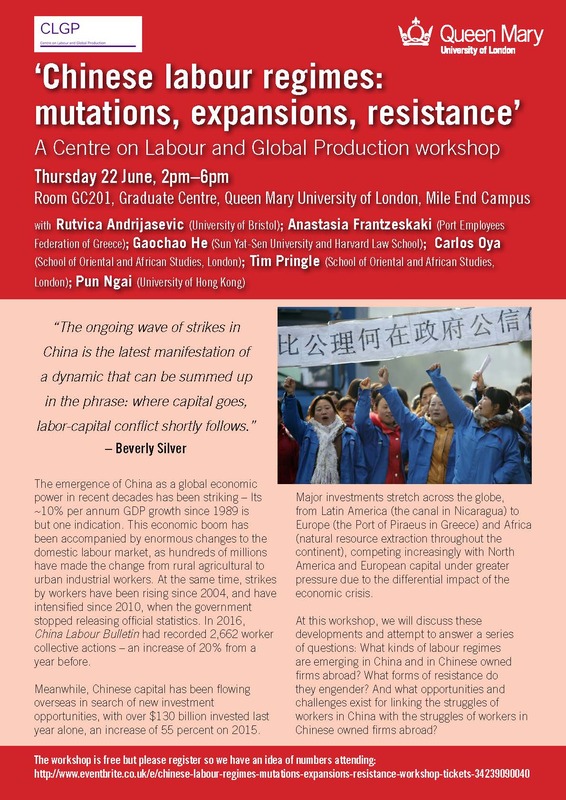 At this workshop, we will discuss these developments and attempt to answer a series of questions: What kinds of labour regimes are emerging in China and in Chinese owned firms abroad? What forms of resistance do they engender? And what opportunities and challenges exist for linking the struggles of workers in China with the struggles of workers in Chinese owned firms abroad?